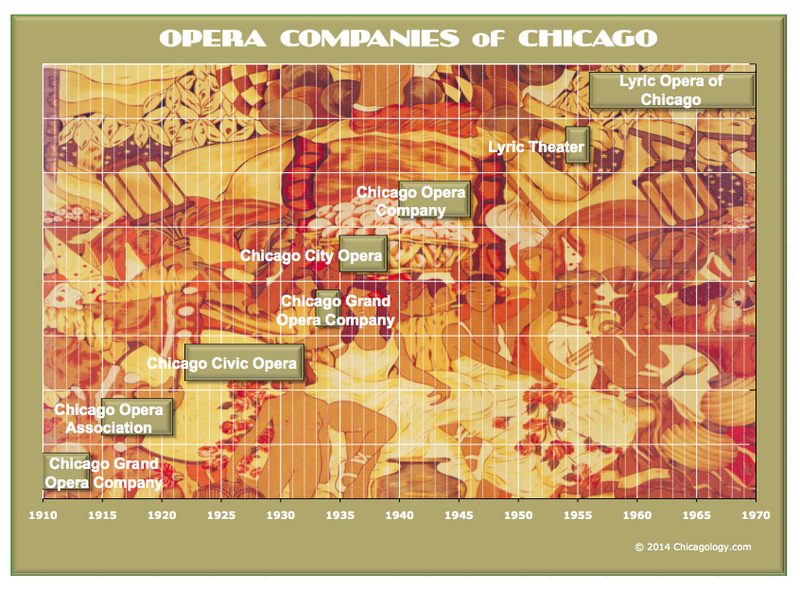 Opera has been in Chicago since the 1850’s. The rise and fall and rise and burn of the Crosby Opera House demonstrated that Chicago embraced the art, yet never had their own company till 1910. Despite having several beautiful opera houses over these early years, only visiting troupes appeared in them. In 1910, the Chicago Grand Opera Company was opened as the city’s first permanent resident company. It established the city as an operatic center of national prominence, thanks in large part to music director and conductor Cleofante Campanini’s openness to experimentation and innovation and to the patronage of Harold and Edith McCormick. Mr. Campanini was the younger brother of tenor Italo Campanini, who sang in Chicago during the 1880’s, and was also the brother-in-law of the great coloratura soprano Luisa Tetrazzini. The success of Chicago opera means the success of all culture in this city and the establishment of a finer standard of art than has ever been known here before. Unfortunately, Mr. Campanini was not skillful in handling the company’s finances. The deficit for the 1913-1914 season was $250,000 during a slight recession. Shortly a number of subscribers withdrew their support and the company filed for bankruptcy. It was decided not to give a fall 1914-15 season. 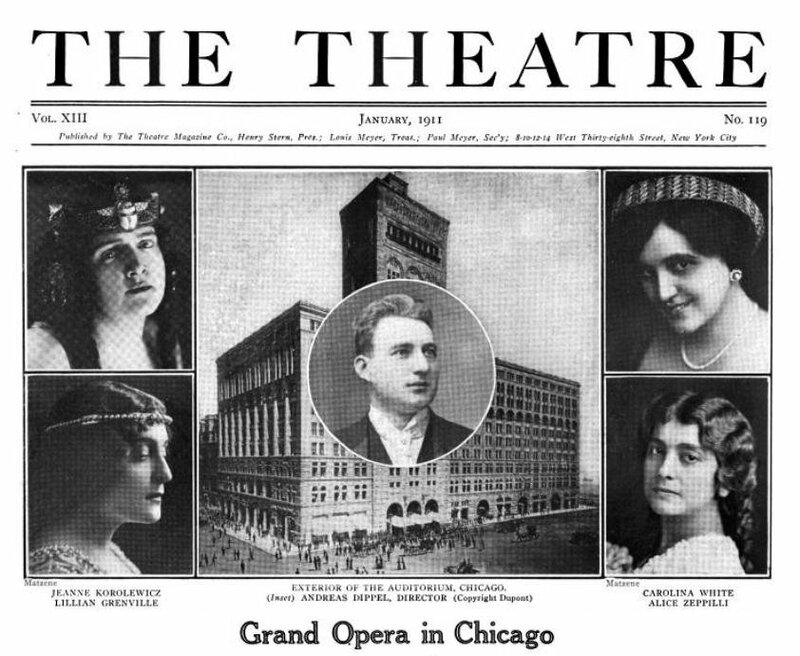 In the spring of 1915, it was announced that a new company, the Chicago Opera Association, had been formed with Harold McCormick as president.The opening performance took place on 15 November 1915 with La Gioconda. The founding artistic director and principal conductor was Cleofonte Campanini, while the general manager and chief underwriter was Harold F. McCormick. When Campanini died in December 1919 he was replaced by the composer Gino Marinuzzi, who staged his own Jacquerie as the opening production of the 1920/21 season. The newspapers said that the company lost one million dollars during the season I was director. I don’t know, because I had nothing to do with the business end of it. It was news to me. It may well have happened, but I don’t know. I do know we finished the way Mr. McCormick wanted us to finish – in a blaze of glory. That’s what he asked for and that’s what he got. If it cost a million dollars, I’m sure it was worth it . In the spring of 1922 the Chicago Opera Association was reorganized into the Chicago Civic Opera. Samuel Insull was announced as the president of the new company. Orson Welles claimed that McCormick’s lavish promotion of his second wife’s opera career—despite her renown as a terrible singer—was a direct influence on the screenplay for Citizen Kane, wherein the titular character does much the same for his second wife. Samuel Insull, Thomas Edison’s private secretary and later president of a utilities holding empire that included Commonwealth Edison, built the Chicago Civic Opera House for his wife, Gladys Wallis, and was another influence, along with actresses Hope Hampton and Marion Davies. Be it announced that this performance of Aida was as good a show as has been seen at the Auditorium since Chicago’s name first went on an opera company…. It would seem that grand opera made safe for democracy, Chicago brand, means grand opera indeed, fine opera, brilliant opera, even grandiose opera. Mary Garden continued as one of the company’s major artists, receiving even from the miserly Insull an appreciable $3,500 a performance. Famous Victor Red Seal soprano Amelita Galli-Curci (18 November 1882 – 26 November 1963) also sang with the Civic Opera for two seasons. Another Red Seal star was Louise Homer (April 30, 1871 – May 6, 1947) who came to the company in 1922 as a guest artist. Opera needs a subsidy, whether it gets it from mad citizens or mad kings. The 1924-25 season sported much criticism. Artists, professional critics, and serious opera goers were trying to say that the strict fiscal policy was stifling creativity and high production standards. It was also being suggested that the season was too long and the deficits too large, almost un-American. On 9 December 1925, Insull addressed a large group of businessmen at an Association of Commerce luncheon. His solution to the perpetual financial difficulties of running an opera company was to build a new skyscraper and have an opera house on the ground floor while the rental of the office space should cover the opera company’s expenses. On 29 January 1929, the company gave its final performance in the Auditorium. Gounod’s Romeo and Juliet, the first opera sung there forty years before, was also the last. The new Civic Opera House was going to open on the 4th day of November. Six days prior, the stock market crashed. Through great good fortune nobody fell in the river on last Monday night, opening of the new Chicago Civic Opera House, although the building stretches along the salubrious stream for one block and the lighting in the neighborhood is none of the best…It would have been hard to find a more ugly environment. Bejeweled and befurred ladies and their penguin escorts would have to sit in anonymous, proletarian darkness, just like people in the sixpenny gallery. Unfortunately, the poor economic times as well as lower interest in opera caused the company to close. 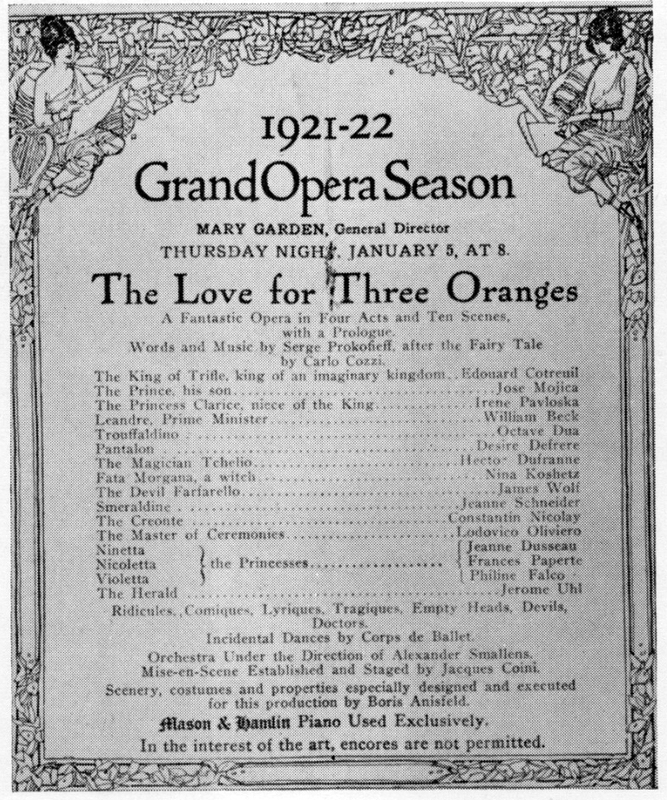 On 30 January 1932, the Civic Opera gave its last performance. Insull’s utility kingdom collapsed. His companies, valued at one time at three billion dollars, went into bankruptcy. Insull fled to Europe to avoid fraud and embezzlement charges. He was arrested in Istanbul and brought back to Chicago for trials. He was acquitted each time. His empire and his great operatic dream were suddenly as dead as the age he embodied. Only the empty “throne” on Wacker Drive remained as his legacy. 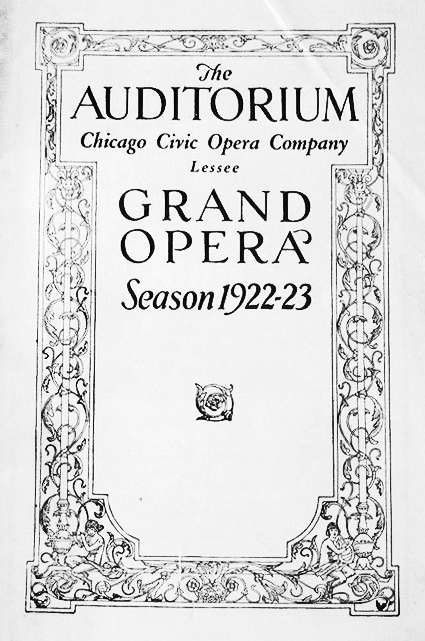 Late in the summer of 1933 the Chicago Grand Opera Company was formed, with George Woodruff as its president and Paul Longone the General Manager. Although the Chicago Auditorium was considered to be the home for the new company, it was decided that the Civic Opera House was economically more feasible, because all the costumes, sceneries and properties were stored at the Opera House and would have to be rented through the Auditorium. The first performance of the new company was Tosca on 26 December 1932. Financial strain forced the company to hire cheaper American artists rather than popular European stars. 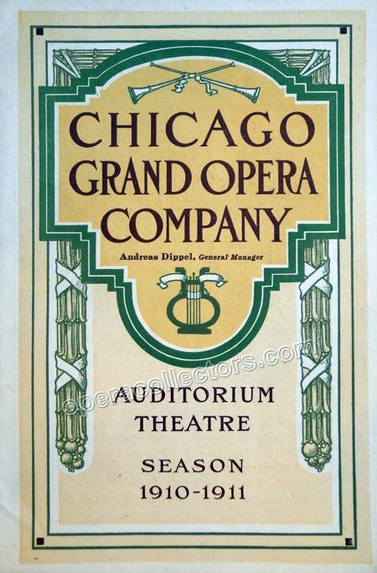 The Chicago Grand Opera Company ceased operations in December 1935. Undoubtedly the worst season of opera that a resident Chicago company has ever presented. 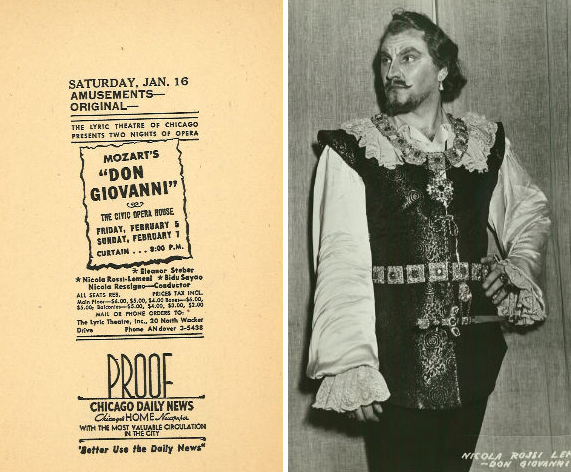 In 1936 the Chicago City Opera arranged with New York’s Metropolitan Opera to enable a number of Met artists to participate in the Chicago season, heralding a period when Chicago’s productions were virtual copies of New York’s. Great names like Giovanni Martinelli, Edith Mason, Tito Schipa and Lawrence Tibbett sang in Chicago that year. 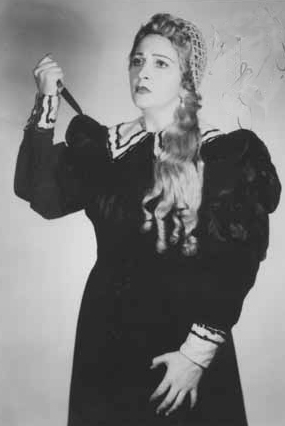 Three singers sang Mimi in La Boheme in 1936. 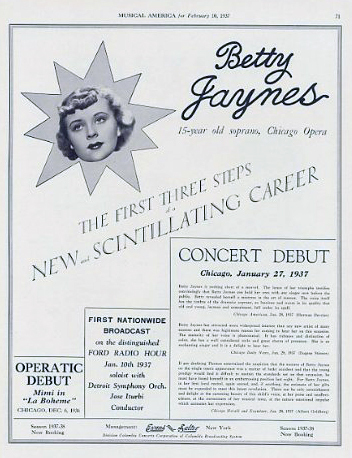 The first was a fifteen year old Chicago high school junior named Betty Jaynes, who was appearing in opera for the first time. 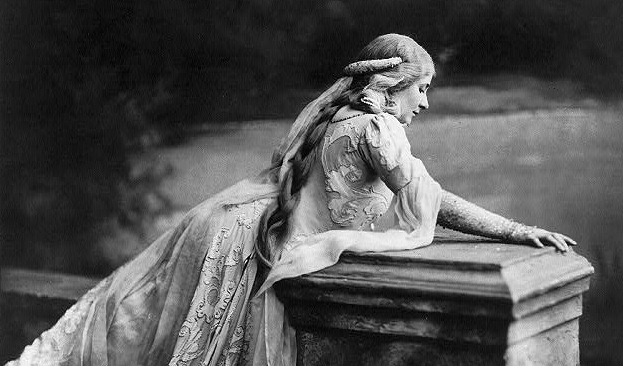 Boheme was the only opera she knew. She sang opposite Martinelli, following a big press build up. The critics were kind. The second Boheme soprano was Vivian Della Chiesa, another Chicagoan, who two years before had won a vocal contest sponsored by a local radio station. She was so enthusiastically greeted when she made her entrance it was necessary for her to take a bow in order for the performance to continue. The answer is definitely Yes nor No. It is Probably. After this performance, Galli-Curci did not continue singing opera, but did sing in concert. In August 1939, less than a month before the German invasion of Poland, Paul Longone, the central pillar of the company for the past six years, died in France. He had already worked out plans for the 1939 season, which Henry Weber agreed to implement when he took over as musical director. At the end of the season, the company was once again reorganized, now taking on the name of the Chicago Opera Company. Last night’s performance revealed something more important even than a new cast, new ballet, new chorus, new direction, and new sets. It revealed in the company a spirit of freshness and youth and hope which seemed to actuate every body concerned with the presentation—from principals and conductor down to the humblest spear toter. I was as skeptical as you about the promised new era of opera in Chicago, until I saw it and heard it with my own eyes and ears. The first season was an astounding season. Most of the productions were polished and well integrated. On the podium there were giants, Artur Rodzinski and Fritz Reiner, both making their Chicago Opera debut. Rodzinski was the conductor of the Cleveland Symphony at the time. A week before the 1941 season closed, Pearl Harbor was bombed. With the American entry into the war, the question was raised whether it would be appropriate or possible to stage an opera season for 1942. The company emphasized that it already had the scenery and costumes needed to stage the operas that would be given, so that no materials would be diverted from the war effort. The 1942 season opened on November 7, the night before the Allied landing on North Africa. The war seemed to have two major effects on opera audiences. First, there were many army and navy personnel present at performances, and second, many women attended unescorted. There was no boycotting of Wagner, as there had been during World War I, although there were some protests, mainly from non-musical sources. Madama Butterfly, on the other hand, mainly because of the feeling resulting from Japan’s surprise attack, was not done. 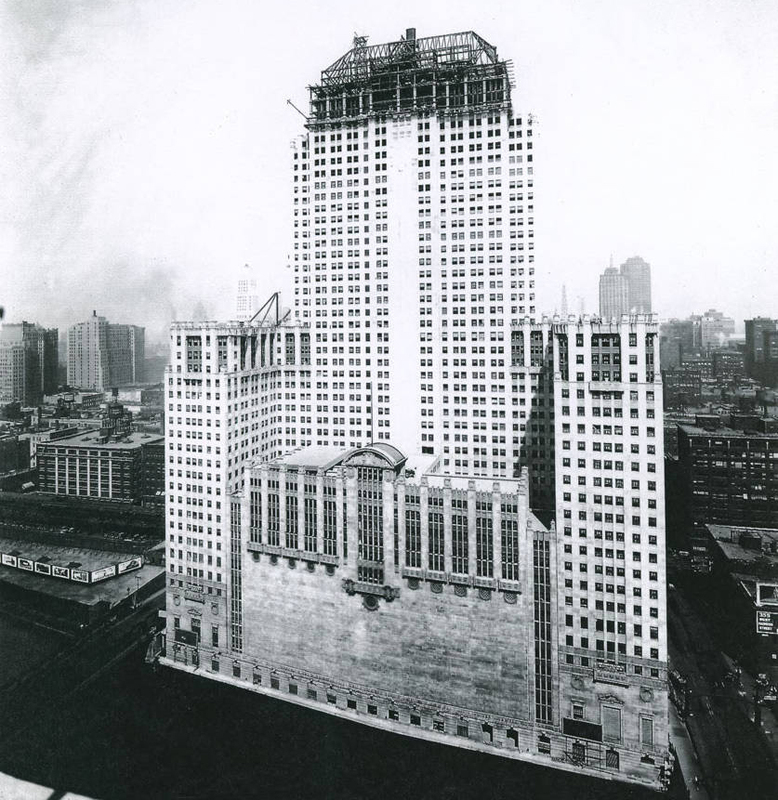 In March, 1943, the Civic Opera building was sold to the General Finance, which assumed a $9,885,000 mortgage and paid the Chicago Music Foundation, the principal shareholder, set up by Insull, a settlement of $266,000. The Music Foundation funds were used to pay off previous operatic deficits and to set up a guarantee fund for the city’s opera, $25,000 of which could be used annually to cover deficits for ten years. By the time this settlement was worked out, it was too late to plan a season for that year. Fortune Gallo had resigned as general manager, intending to produce operettas on Broadway and continue with his San Carlo Opera Company. By fall the Chicago Opera Company was reorganized, with Fausto Cleva as artistic director. The hasty borrowing of singers from the Metropolitan for an appearance or two is a system which contains within itself the seeds of decay, as obviously a fine ensemble cannot be achieved by this means. No ‘star,’ however refulgent, can entirely carry a performance. In the summer of 1946 Fausta Cleva made a trip to Europe to scout for fresh talent. He engaged a number of artists Chicago never heard before, including Ferruccio Tagliavini and Italo Tajo from Italy and Janine Micheau from France. A sincere effort was made to free the company from its dependance on the Metropolitan and to improve production standards. To a considerable degree this was realized. While the 1946 season was undoubtedly more exciting than any heard in Chicago for years, it was poorly attended. Even superb productions like Tristan and Isolde played to scant houses. The deficits for the six week season was nearly $150,000, a sum not paid till 1948. With this heavy debt on its shoulders, the Chicago Opera Company, at the height of its artistic glory, died a beggar’s death. Chicago was without a resident opera company for eight years. In 1950 a young dark-haired, forceful woman scarcely out of the debutante stage, named Carol Fox, daughter of a wealthy Chicago furniture manufacturer, returned home from studying voice in Europe. She incorporated her proposed company as the Lyric Theatre of Chicago and began checking into financial support. 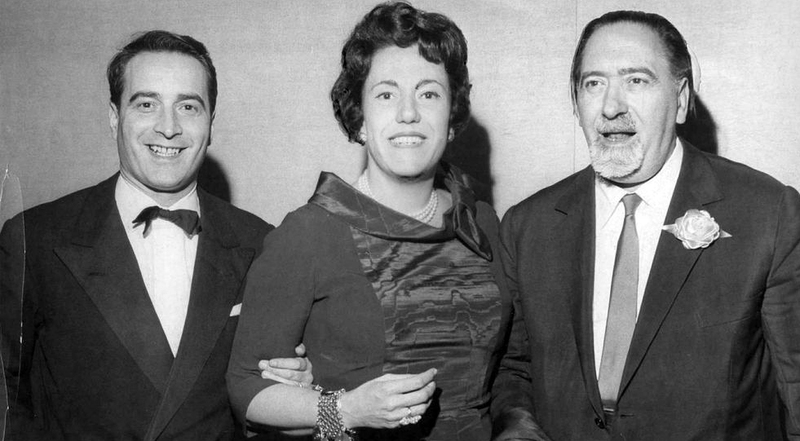 In February 1952, Fox, her vocal coach Nicola Rescigno and real estate agent Lawrence Kelly met one night in Box Eight at the Met in New York. Although they were all from prominent families it would be tough to get financial support. Don Giovanni brooks no compromise: either its production is notably good, or it cannot be endured. Last evening’s mounting was notably good. Before the first three-week season, Miss Fox went to Europe to sign leading Italian singers. Such artists as Tito Gobbi, Giuletta Simionato and Giuseppe di Stefano appeared in the resulting eight productions, which included La Boheme, Carmen and Tosca. The season’s highlight was the American debut of Miss Callas, in Norma. With that, she scored the operatic coup of the decade. This would have been an extraordinary performance for any opera house. It was serenely, handsomely staged, its musical pulse was so warmly secure you could quickly take it for granted, and it was magnificently sung. By 1956, disputes had arisen among the founding officers. There were financial difficulties, with deficits of more than $150,000; court appearances, and resignation quarrels. Miss Fox’s supporters, who formed the Opera Theater Association, were finally victorious over Mr. Kelly and Mr. Rescigno. The Lyric Theater was dissolved, and its assets and liabilities transferred to Miss Fox’s group, which was renamed the Lyric Opera of Chicago, with Miss Fox as general manager. The first season of the new Lyric Opera of Chicago opened on 10 October 1956 with Puccini’s The Girl of the Golden West. Mr. Kelly and Mr. Rescigno left Chicago, later founding the Dallas Civic Opera. Fox also used her formidable persuasive powers on artists other than singers: she was able to bring Rudolph Nureyev to make his debut on an American opera stage at the Lyric; Vera Zorina, Alicia Markova, Erik Bruhn and Maria Tallchief also danced at the Lyric, and George Balanchine created choreography for the Lyric. The Italian composer Pino Donati was her artistic director. Bruno Bartoletti was principal conductor, but other conductors included Tullio Serafin, Dimitri Mitropoulos and Artur Rodzinski. Christoph von Dohnányi and Sir George Solti chose the Lyric for their American operatic debuts. Franco Zeffirelli staged operas as did Harold Prince. In 1980, due to illness and her refusal to lower her artistic standards despite the Lyric’s dire financial state, her resignation was sought and given. Sadly, Carol Fox died a few months later. She was succeeded at the Lyric by her longtime assistant manager, Ardis Krainik. Under Krainik’s leadership, the Lyric Opera was able to put its fiscal house in order after many years of running in the red. In 1991 she made headlines when she fired Italian tenor Luciano Pavarotti for yet another cancellation due to being “indisposed.” Krainik endeared herself to Chicago’s opera patrons, who had been disappointed by one too many of Pavarotti’s last-minute cancellations.